Jacob's grandfather tells him about the mysterious peculiar children and of their abilities. When a tragedy occurs with his grandfather, Jacob is the only one who actually saw what happened to him. 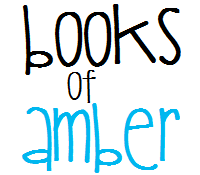 Led to believe that he is crazy, Jacob searches for things to prove that he didn't imagine it. Upon finding things in his grandfather's belongings, he starts to believe that perhaps the peculiar children really do exist. Jacob along with his father, travel to the very place that once resided the children, and Jacob learns a lot about what happened, including himself. I received a physical copy from the publisher in exchange for an honest review. I have seen this book around, and for some reason was put off from reading it. I think it was because of the front cover. It looks eerie, and didn't really look like something I would be into at all. However, I was wrong, and I soon learned to believe that the saying "Don't judge a book by its cover" really does say a lot for itself. The storyline was absolutely beautiful and drew me in. It's told from Jacob's perspective, so that was good as you could understand his thoughts and feelings. I love how the book was genuinely structured with all the pictures illustrating the story as you read along. Although the pictures I did find creepy, I thought that it added an effect to the book. All the characters were described well, and I felt myself wanting to join them and meet them all. They all had different personalities that were like-able. Yes, there were parts that did creep me out a little. I didn't really want to turn the pages when Jacob went to see the house of the peculiar children, but I was also curious what would be inside. It was almost like watching a scary movie where the main character goes and investigates the abandoned house and inside you are screaming "No! Don't go inside!". There are a lot of mysteries lingering within the pages, and you find yourself figuring them out with Jacob, the main character. There are also questions that you end up asking yourself like "Who is killing the sheep?" 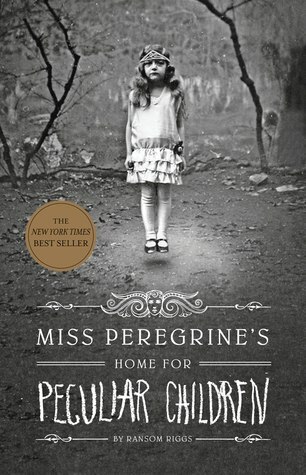 and "Why are these peculiar children still here? ", etc. Overall I gave this book four stars because I enjoyed the storyline, the characters were developed well and the writing style kept me interested throughout. I also enjoyed looking at the pictures that accompanied the storyline. I really thought that was a great asset to the story. If you like spooky books with mystery involved, then I definitely recommend you give this book a try.